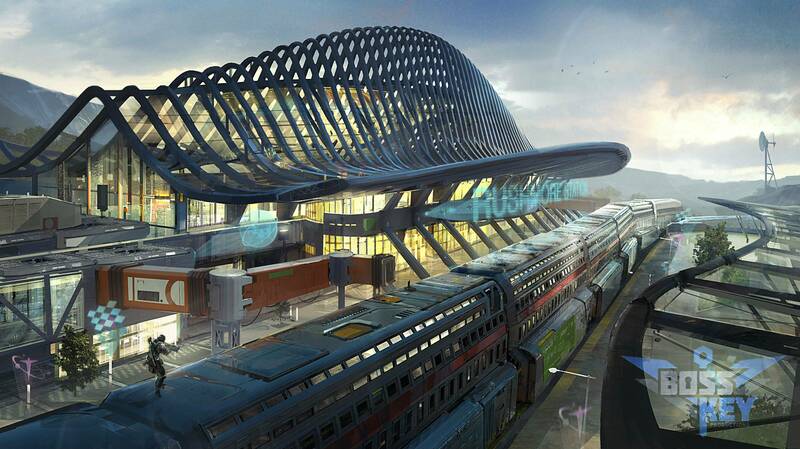 Cliffy’s game company BossKey, revealed some new concept art for Project BlueStreak on their Twitch stream today. There is still not a ton of info out there regarding what Project BlueStreak will actually be when it is released other than possibly an old-school FPS. Whether it ends up being a first person shooter when it is finally released or something very different, it’s hard to say at this point. 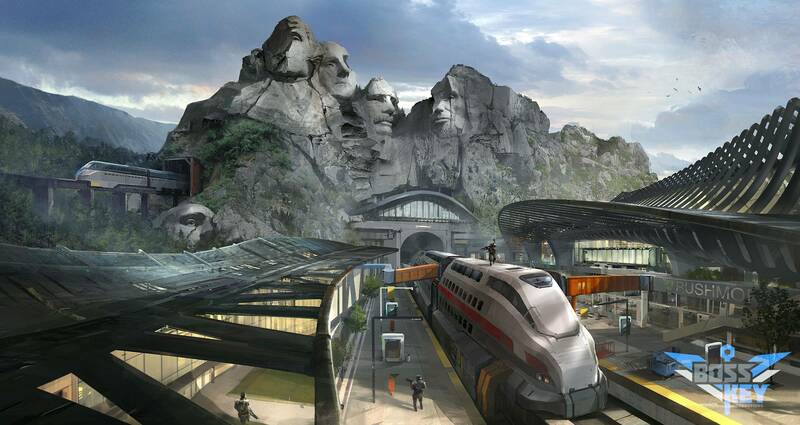 These renders below of “Rushmore Station” don’t look that FPSish to me but I certainly have high hopes for it with Cliffy involved.